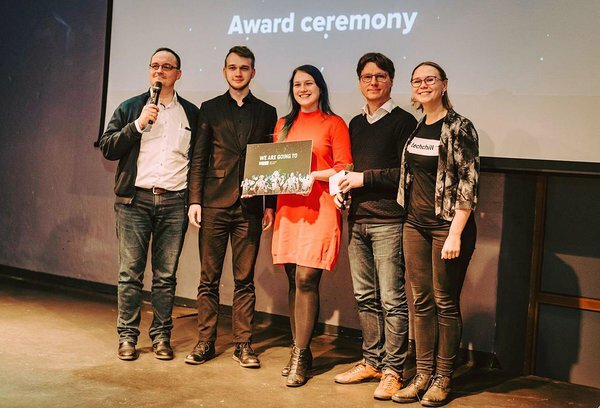 UT Idea Lab | UT team TRIT won Estonia and Latvia business ideas competition! UT team TRIT won Estonia and Latvia business ideas competition! On 17th of January business ideas accelerator programme EstLat-Accelerate held a Graduation Day with pitching competition. The winner was TRIT - a team from the University of Tartu that develops a solution for the translation service. 8 teams took part in pre-selection round – 5 from Latvia and 3 from Estonia. 4 teams from Latvia and 1 from Estonia made it to the final round that was a side event of Latvia’s biggest startups festival TechChilli. The six judges were Latvian angel investors and venture capitalist. The first place was won by team TRIT which has two members – Eha Mäesalu (UT graduate) and Ants-Oskar Mäesalu (UT Master’s student). The idea is to make „translation Taxify“ where all the translation service users and providers can meet directly without a long waiting list. The second place went to Latvian team Airda that is working on building an application for the construction sector for using drones. 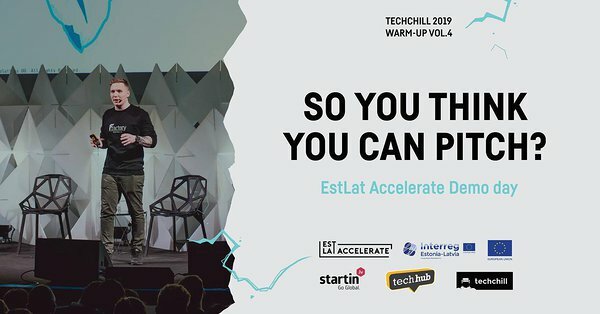 The EstLat-Accelerate is Estonia’s and Latvia’s united accelerate programme, where startups go through a 4-month intensive course with the help of business mentors from both countries. The 3rd batch of startups started in 2018 autumn and there were 7 teams from Estonia and 7 from Latvia. 3 teams from Estonia and 5 from Latvia made it to the Graduation Day. EstLat-Accelerate is implemented under the European territorial cooperation goal of the cohesion policy and it supports cross-border cooperation. The programme is co-funded by the European Regional Development Fund (ERDF), the Republic of Estonia and the Republic of Latvia. This article reflects the views of UT IdeaLab. The managing authority of the programme is not liable for how this information may be used.